Tis the season to pop up some holiday fun by creating a scenic winter wonderland that tastes as great as it looks. Gather the kids and make a hands-on family holiday tradition out of crafting festive, edible decorations. Popcorn is the perfect choice to pop up and eat while trimming your popcorn tree and decking out your creations. • Place popcorn in large bowl. melted and mixture is smooth. • Stir in vanilla extract. • Spray hands with nonstick cooking spray then scoop up about 1 cup popcorn mixture. • Shape mixture into cone, keeping base flat to form tree. • Sprinkle tree with decorating sugars; place tree on baking sheet. • Make nine additional trees. • Pipe frosting on trees to make garland then decorate with sprinkles and silver dragees, as desired. 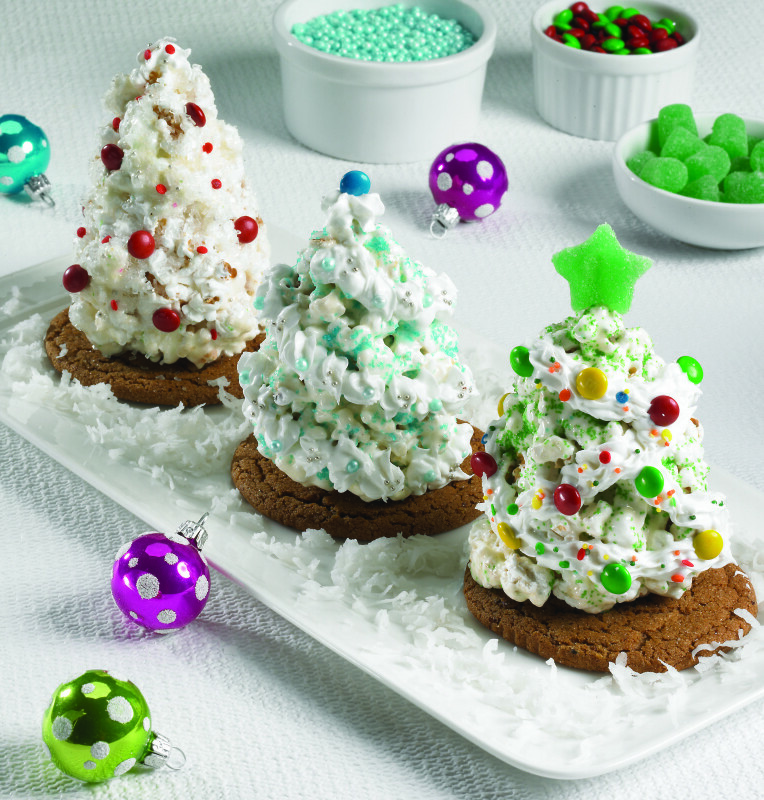 Place each tree on sugar cookie and decorate serving tray with shredded coconut to resemble snow. Find more creative holiday recipes at popcorn.org.